Country Superstar Gord Bamford Announces Multi-Year Partnership with Kubota Canada Ltd.
TORONTO, ON – On September 24, Kubota Canada Ltd. (KCL) announced their first ever music partnership with multi-platinum selling Canadian country music superstar Gord Bamford. At the annual dealer sales conference hosted at the Swan Resort Hotel in Florida, the multiple CCMA and CMA Award winner and his band hit the stage for a surprise performance before joining Rob Allison, National Brand Manager of KCL to announce the landmark agreement. 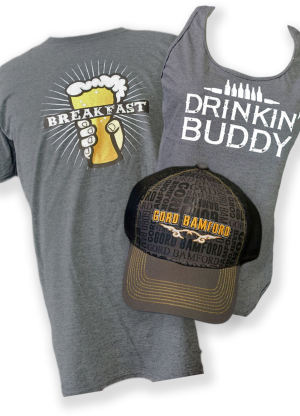 The multi-year partnership will see KCL as the presenting sponsor of Bamford’supcoming Canadian Honkytonks & Dive Bar Tour, a limited-edition line of Gord Bamford / KCL branded apparel, the Country icon appearing in KCL dealership POS promotions, at in-store events, in social media campaigns along with special dealership ticket packages and more. Kubota Canada Ltd. is the Canadian marketer and distributor of Kubota-branded equipment, including a complete line of tractors up to 150 PTO HP,performance-matched implements, compact and utility-class construction equipment, consumer lawn and garden equipment, commercial turf products and utility vehicles. For product literature or dealer locations, please visit: www.kubota.ca.